So, the market had a good day on Tuesday, in part to reports of Consumer Confidence being at the highest level since September 2000. However, my question is why we have stopped believing we can’t be more confident. I’ve pointed out many times how confidence used to trade in lockstep with the stock market, and both peaked in early 2000. Both took a swan dive over the next few years and lingered. Eventually, the stock market made its way to new highs. It got hammered again, and has once again rallied to new highs, up 150% from the tech bubble peak. Consumer Confidence still hasn’t taken out its high point from that period. I continue to wonder what happened to America, the land of rose-colored glasses. We are afraid to be too optimistic. There is no doubt that it’s been a rough patch for investors. The nation has been embroiled in the longest war in history in the Middle East and a burgeoning war of ideology at home. We get excited, and our hopes are dashed. ‘Woe is me’ is the order of the day; however, that could be changing. Despite the harsh division within the country, I believe the continued economic strength could see confidence actually break out to new record levels. Consumers say they are ready to buy big-ticket items such as automobiles and homes in the next six months. Consumers expect income gains over the next six months, 24.7% from 22.5%. According to the Conference Board, this report confirms there will be strong growth into early 2019. Now, if we can embrace optimism that was once the cornerstone of America, we can take this economy to levels we also gave up on a long time ago. It’s truly a virtuous cycle where optimism spurs the economy, which spurs optimism. Well, the market fended off a few tries at tripping into the red, which eventually sparked buying into the close. Most of the news (economic and companies) was positive, which got some sideline cash to make a move. Market breadth was like a Bianca last week, except for 52-week milestones. The earnings parade continues, led by Facebook (FB), which posted mixed results, and watched shares drop as Zuckerberg talked about several transitions, but the stock bounced on spending guidance. I like that Communication Services was the best performer with Facebook (FB), Netflix (NFLX), and Alphabet (GOOG) lagging – that probably changes today. The Materials Sector (XLB) is still the biggest loser in 2018, down 16.2%, and in my mind, it is very much oversold. Ironically, a mixed Congress could see movement on infrastructure, which would be huge. Even without capital projects, budgets are increasing, and 2019 should be a different story. I got an avalanche of questions, click here to get yesterday's #Ask Payne? The company crushed consensus estimates on revenues of $35.8 billion (street $34.8 billion) and earnings $1.87 (street $1.25). 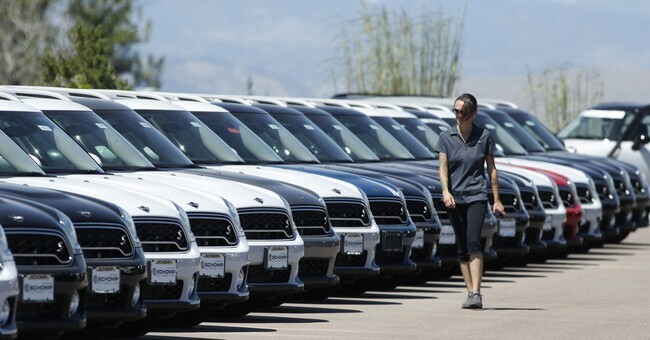 As much as so many wanted to see the company fail, as negative proxy for the trade war, the company performed well in China, where the auto market is slumping, and absorbed the $400.0 million in higher commodities cost because of a strong American consumer. I have to say, watching after hours trading in Facebook (FB) during the conference call was a major step in Mark Elliott Zuckerberg maturation process. The hits were huge, but the call was more of a kitchen sink of admissions, including the need to increase headcount 45% in the past year to 33,606 to not only seize on opportunities, but to deal with current controversies. There was a $38 billion reversal as the call moved along, and shares, which initially plunged $5.00, rallied up $11.00. I’m reminded that Tesla shareholders saw their fortunes surge in back to back earnings calls where Elon Musk behaved himself. We are now seeing mavericks learn to approach industry norms with creative destruction but handle the business side like CEO’s rather than renegades. To a degree, Reed Hastings will have to do this on his next call as well, as the CEO of Google/Alphabet, where internal controversy is flaming. Employment data from ADP comes in well above Wall Street consensus at 227,000 versus 189,000. It’s a monster report that once again underscores the strength of the economy, particularly in higher paying professions. Equity futures actually improved after the release, which is important. We should want the market to root for, and positively react to good news, even with the Fed lurking in the shadows.